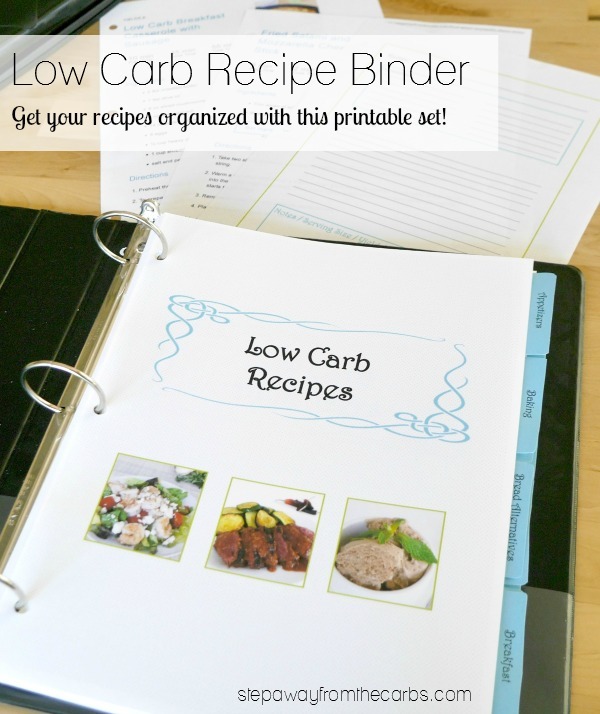 This low carb recipe binder printable is perfect for organizing your recipes – and ideal for getting you inspired! 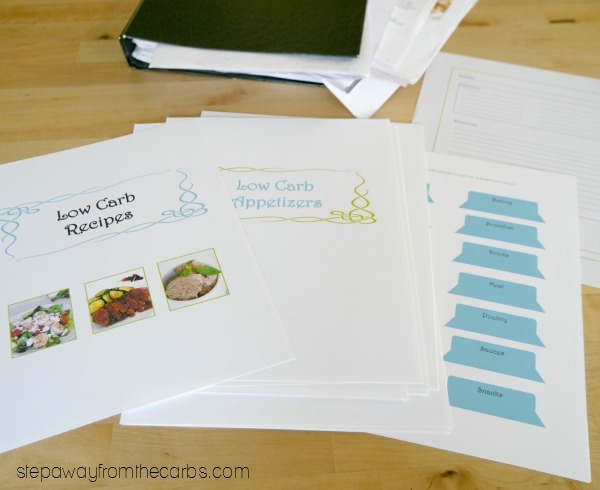 How do you organize your low carb recipes? Print-outs from the internet? Scribbled notes? 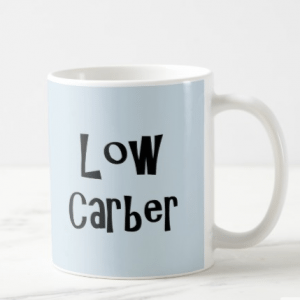 And WHERE do you keep them? If they’re not all in one place it can be SO annoying if there is a recipe that you’re particularly looking for. I’m actually quite an organized person, so I usually keep everything in the same place – but it isn’t well ordered. 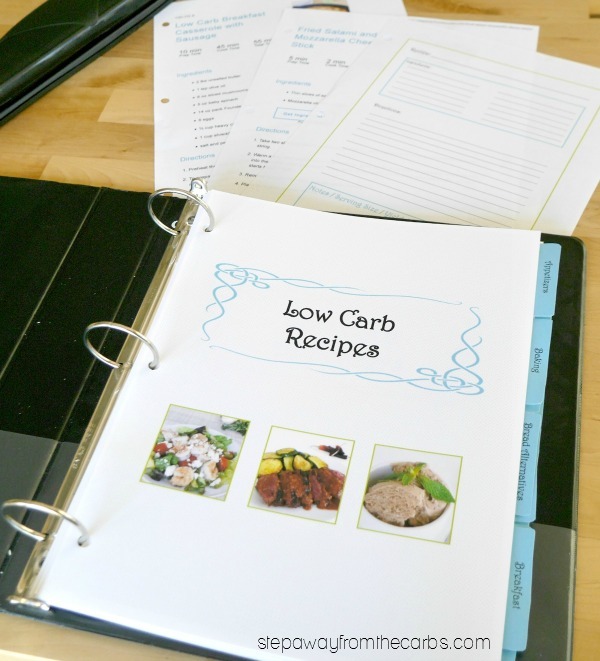 So this low carb recipe binder that I’ve made is very pleasing and I wanted to share it with you! Play my introductory video to see what’s included! There’s also a blank divider for you to customize if you have extra categories that you want to add. 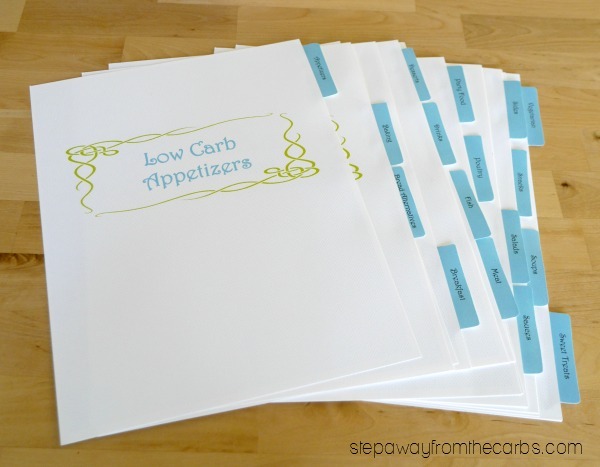 Print out the divider page tabs onto white card, then cut them out. Glue them to the relevant divider page, all at different heights. Punch holes in the divider pages along the left edge as necessary, then add them to a binder. 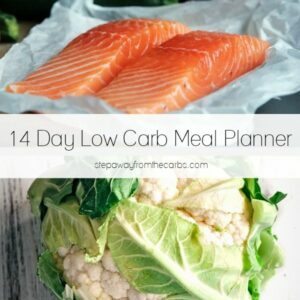 Start adding your recipes! If you have computer print-outs, they can just go straight into the relevant section. 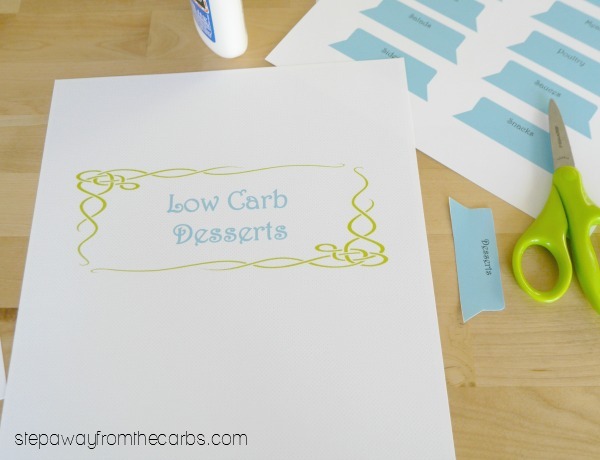 If you have hand written notes, you may prefer to write them out onto the recipe card template (print several of these out onto regular white paper). *Alternatively you could print them onto paper and place them into plastic sleeves for extra durability. 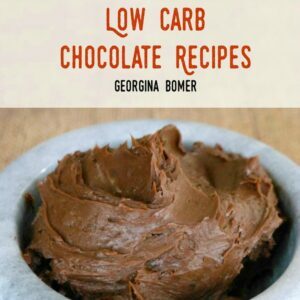 Never lose a recipe again! 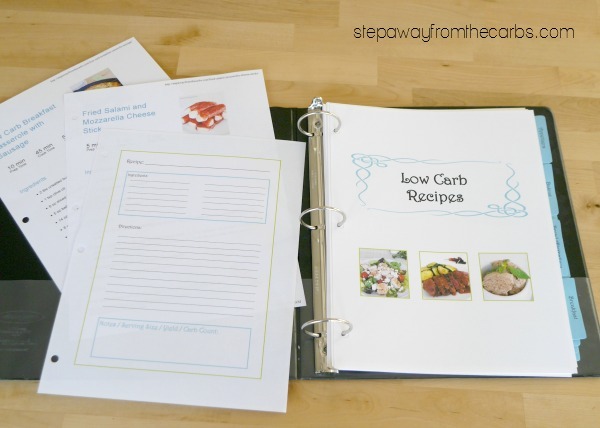 To get the pack of printables for your low carb recipe binder, go to the StepAwayFromTheCarbs store!